Here’s a photo of the over-all winners of this Years’ Yorkshire Beard Day 2018 Beard Competition run by members of The British Beard Club. You will be happy to know we have a table set aside for you to doodle, draw, sketch and do your colouring-in of beards and bearded people. 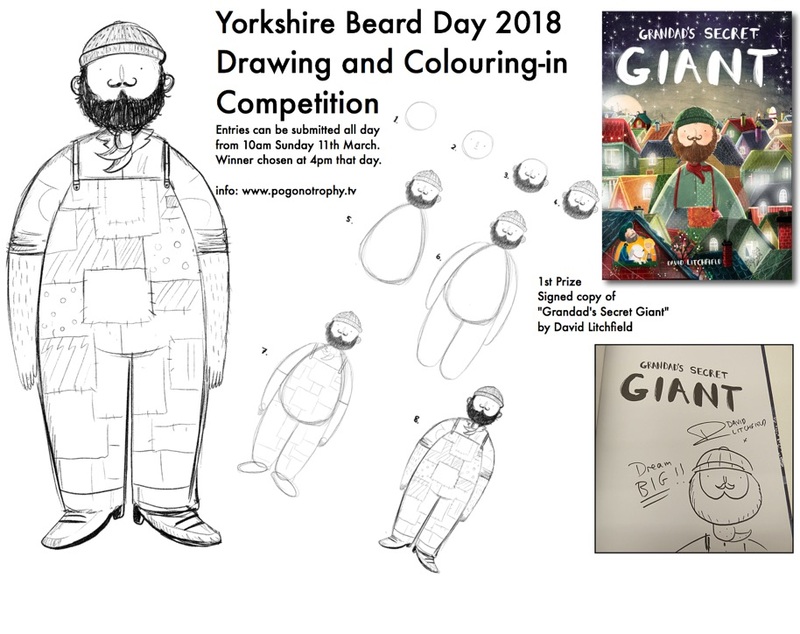 This year you will be able to enter your beard drawings, doodles, paintings and colouring-ins to a competition and win some lovely Art and Illustrated book based prizes. Entries can be submitted throughout the day from 10am onwards and a winner will be chosen at 4pm on Sunday 11th March in the Cabaret Ballroom of the Grand Hotel, Scarborough. Here we see one of two “tower of beers” contributions from the splendid folk at Scarborough Brewery. If you or your company would like to add a contribution to the prize pile please get in touch via the contact form on this website. click here. 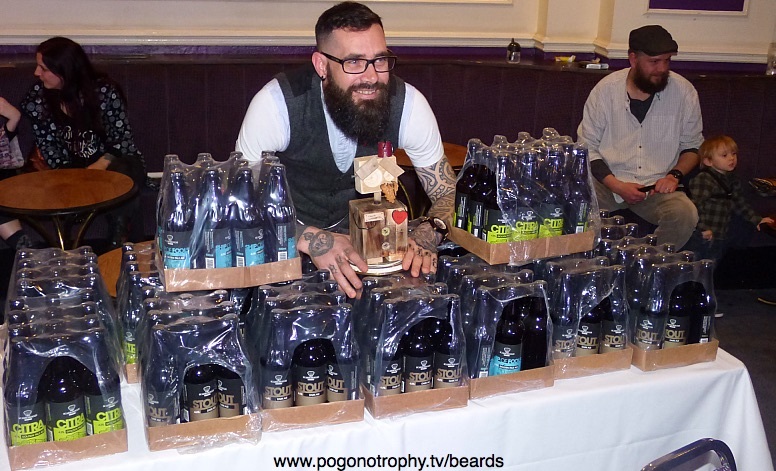 To be in with a chance of winning this beer and many other incredible prizes you will need to take part in the Beard Competition or the Barber Competition. Competitor tickets will be available from the registration desk on Sunday from 10am right up until 2pm shortly after which the first of the competitions are due to start. All monies raised go to charity. 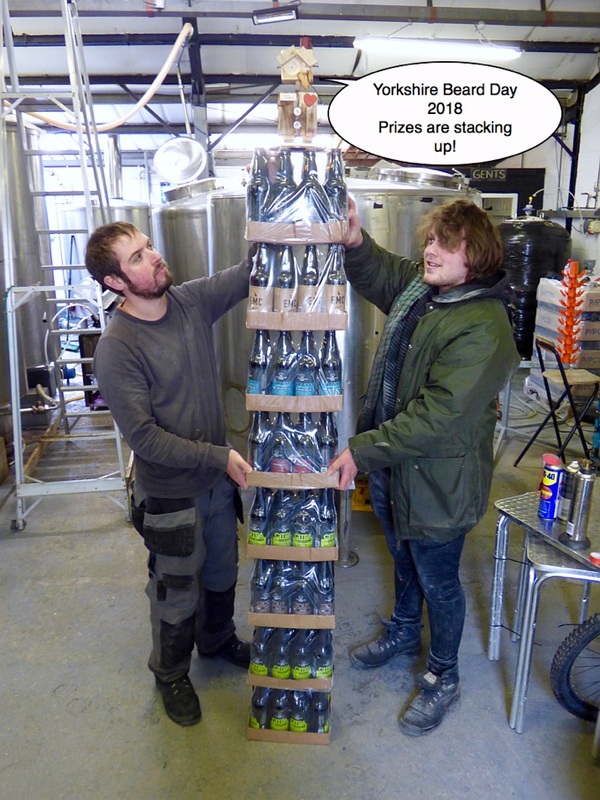 One of two towers of beer donated by the Scarborough Brewery for this year’s winner of Yorkshire Beard day 2018… still time for other contributions to be added to the prize pile. Styled Stubble: a few days growth closely cropped and styled/designed/sculpted/patterned using razer and beard clippers. Moustache: Facial hair on the top lip only. can be any style, left natural or twirled. Goatee: Hair on the chin or chin and top lip around the mouth. Musketeer: A narrow pointed chin beard and a distinct moustache usually fashioned with wax or naturally trained. Sideburns / Mutton Chops: Hair on the side of the face, can be joined by a moustache but chin must be clean shaven. Business Beard / Short Beard: a neat and tidy shaped full set beard like a well kept lawn. King Edward VII: Classic full set beard long enough to be trimmed to naturally occuring point with a naturally trained or subtly waxed and combed tea strainer. Verdi: short to medium sized beard, not pointy but of a rounded appearance. Waxed and curled moustache. Badger Beard: Natural Beard of any colour that has distinct stripes. Full Beard Natural: Full set that has been left to grow out as nature intended… a little cultivation/trimming can have occurred to keep it in check and a comb put through it. Full Beard Natural with styled moustache: Full set that has been left to grow out as nature intended… a little cultivation/ trimming can have occurred to keep it in check and a comb put through it. Plus a styled moustache which can be a naturally trained one or styled with wax. Full Beard Freestyle: Anything goes, you can style your full beard however you want, use all manner of product, colourings, hairsprays and waxes as long as the base of your creation is your naturally occuring facial hair. Let your imagination be your inspiration. Partial Beard Freestyle: Partial beard is any beard that isn’t a full set, you can style your Partial Beard however you want, use all manner of product, colourings, hairsprays and waxes as long as the base of your creation is your naturally occuring facial hair. Let your imagination be your inspiration. 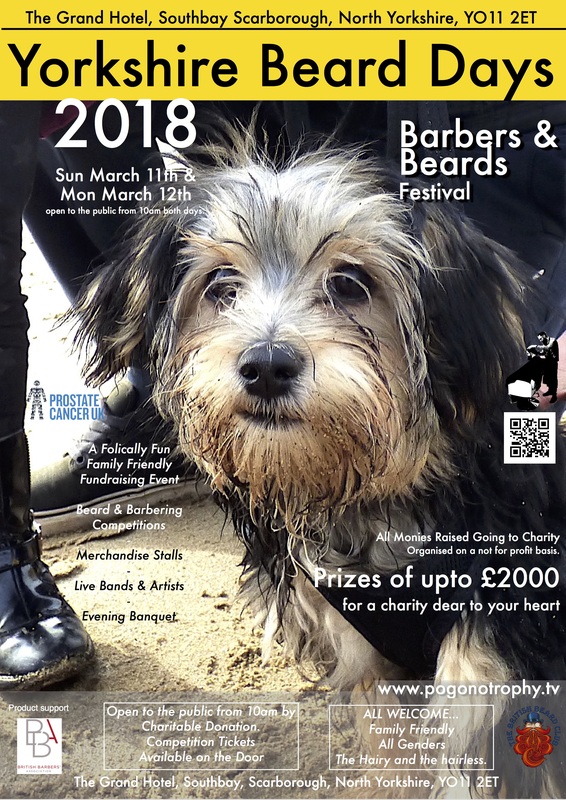 There will also be Barbering competitions and barbering demonstrations by some of the UKs top Barbers and educators taking place in both the Ballrooms. 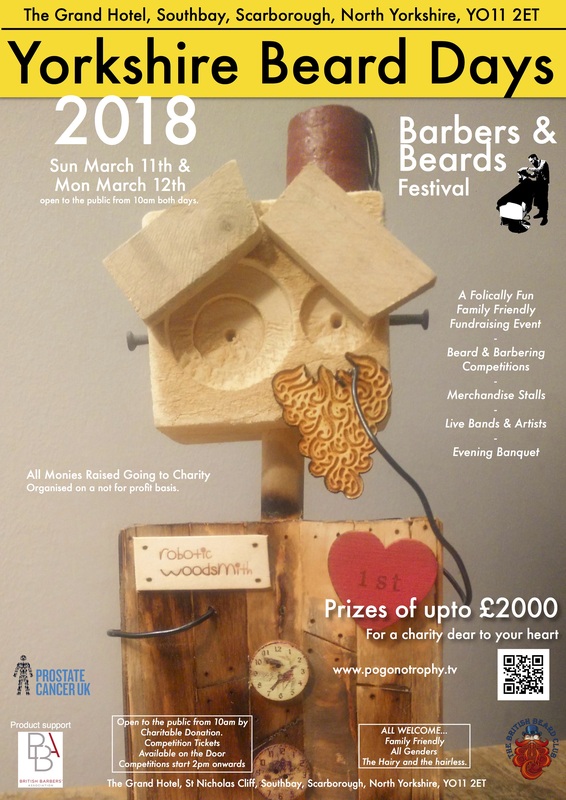 A printed list of all the Yorkshire Beard Days – Beards and Barbers Festival activities will be available on the day and on this website shortly before the Big Beardy occasion. Photographers and Media organisations – There is ample space to set up portable studios in and around the venue please use the contact form let us know any special requests or requirements in advance and we will do our best to help and advise you on what facilities are available. Please ensure your equipment has been PAT tested in advance. 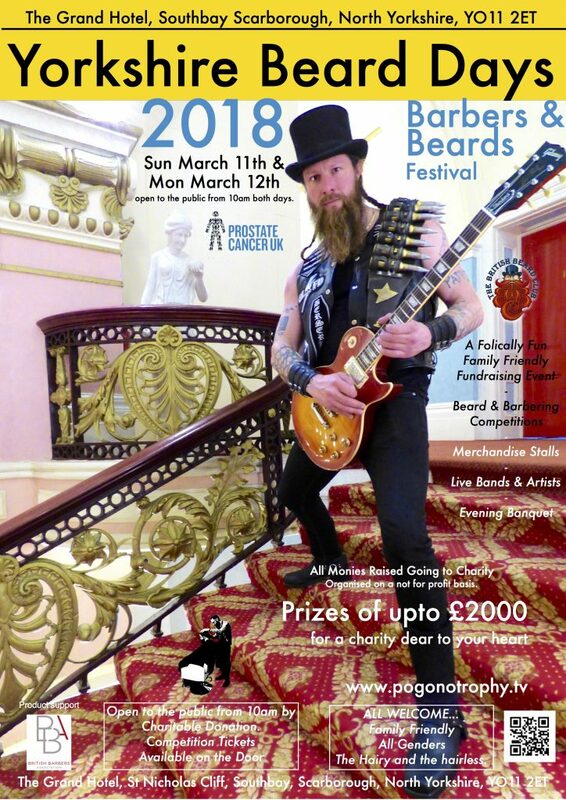 Yorkshire Beard Day 2018 poster – image is of Musician & Artist Alastair Magraw serenading a lady who clearly loves the opulent ornamental balustrades of the glorious Grand Staircase of the Grand Hotel. This year we are in the iconic Victorian building of The Grand Hotel, South Bay Scarborough. 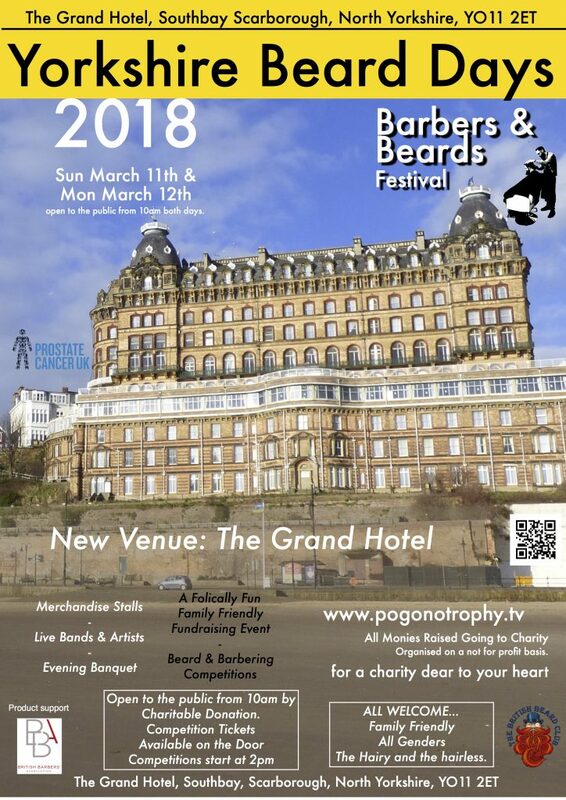 Yorkshire beard day 2018 – The Grand Hotel, Southbay, Scarborough, YO112ET Sunday March 11th, Monday March 12th – Competitor tickets, and Day wristband access all areas Tickets available on the door. Public access from 10am through Charitable donation. Competitor Registration available all day until 2pm when competitions start. Competitor and Day wristband access all areas tickets available on the door. Day Competition Spectator Tickets available on the door. Children 12 years old and under and Mothers on Mother’s Day. Registration desk open all day until about 2pm when competitions are due to start shortly afterwards…. Once you are registered you will be given a wristband and can come and go as you please. A full list of the other events and activities happening during the festival will be posted on the website and available on the day. To compete you will need a Beard competitor ticket. All monies from the ticket face value will be going to charity. FREE Entry for Children 12yrs and younger. 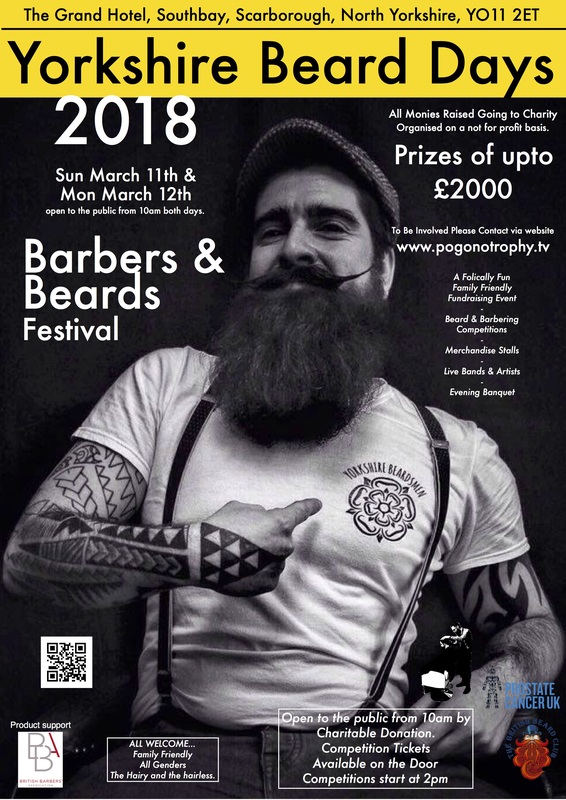 On the day you will need to sign in at the Beard registration table for pre-judging to confirm the beard category you are wanting to enter is the correct one for your beard. 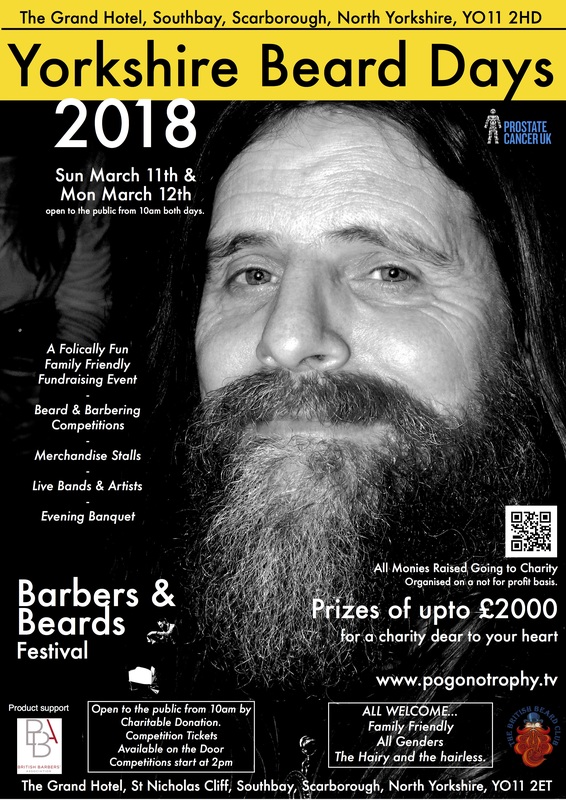 Those of you who are judged to be the top of your beard category will receive trophies and prize goody bags. All competitors will receive goody bags & certificates of entry. There will be portrait photographers in the building ready to capture your beard in all it’s glory. Join the The British Beard Club before the event and you will receive additional exclusive benefits in your goody bag on the day. Public access to the venue is available from 10am on the day. 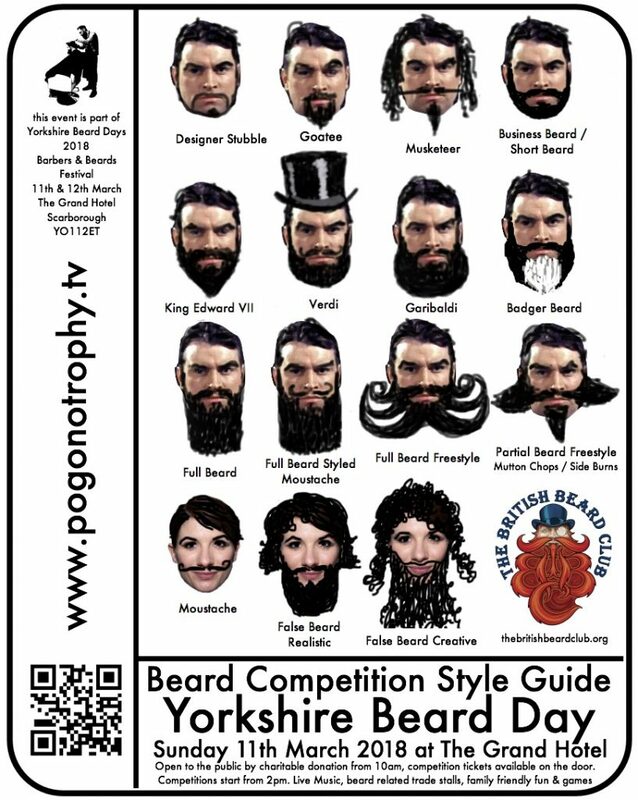 Yorkshire Beard Day 2018 TBBC Beard Competition Categories. 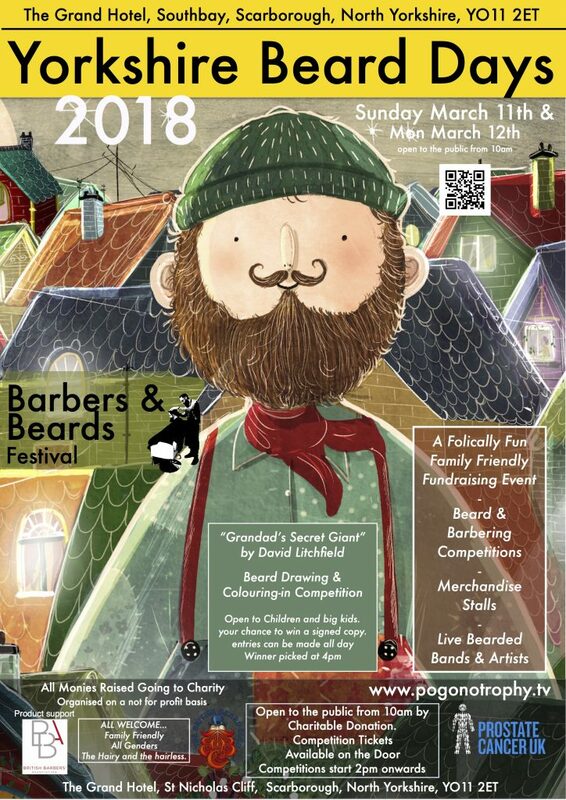 Part of Yorkshire Beard Days 2018 – TBBC Northern Beard Meet Up – Barbers & Beards Festival. Sunday March 11th & Monday March 12th – Competitor tickets and Day wristband access all areas Tickets available on the door. Public access from 10am by Charitable donation. Competitor Registration available all day until 2pm when competitions start. Competitior Tickets will be available on the door, you must be registered in your category and in the building by 2pm to be able to compete. 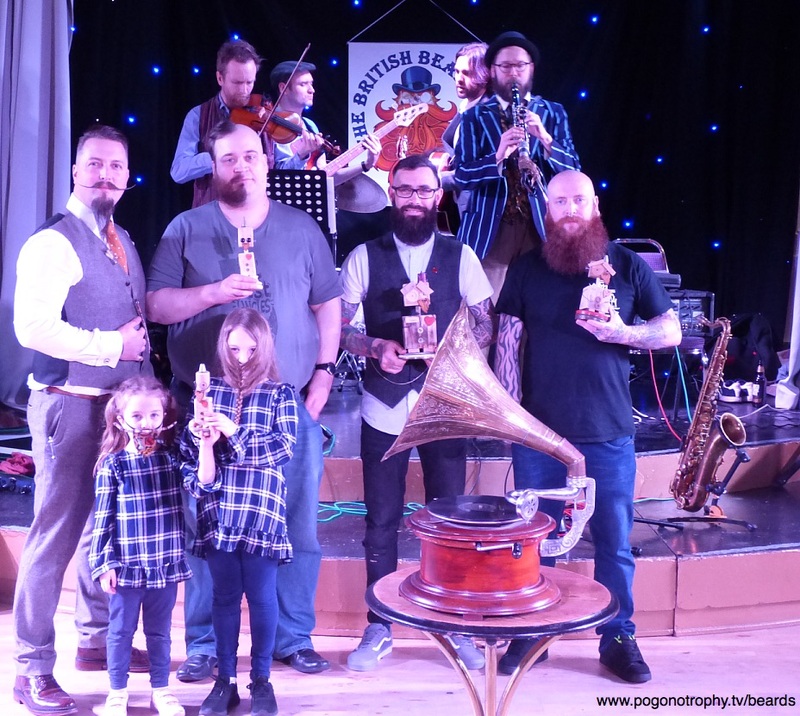 Yorkshire Beard Day 2019 – Beard Competition Results! Yorkshire Beard Day 2019 = Beards & Beer! Yorkshire Beard Day 2019 Date and Venue has been Announced!